Features 1 adjustable shelf and four level-adjusting feet. Features 1 adjustable shelf and six level-adjusting feet. Stylish brushed aluminium drawer pulls. 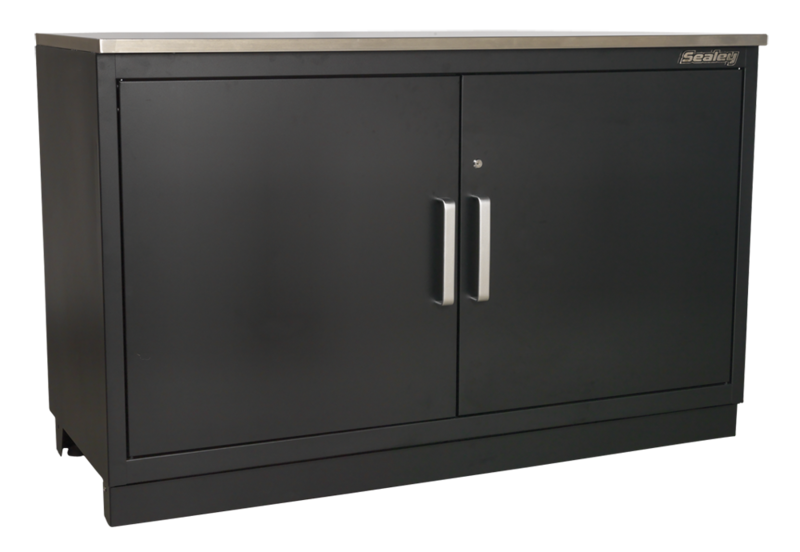 Option of stainless steel or oak worktop. 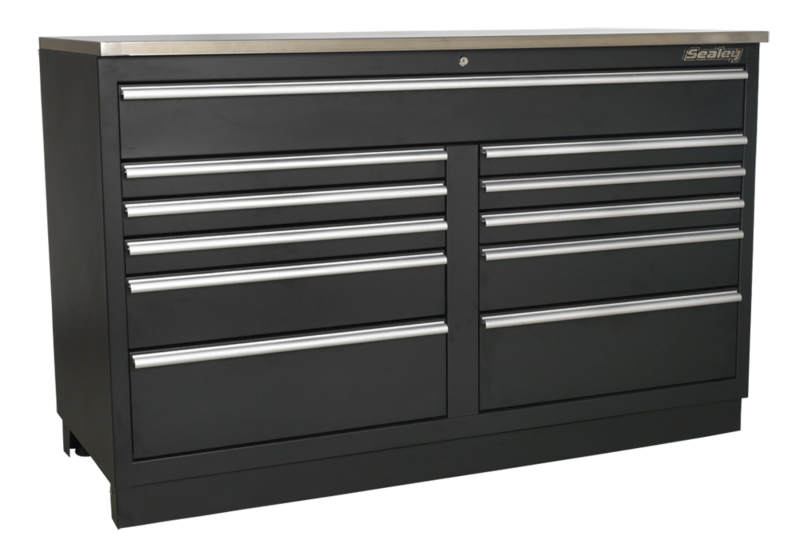 6 Heavy-duty drawers with precision ball bearing slides. 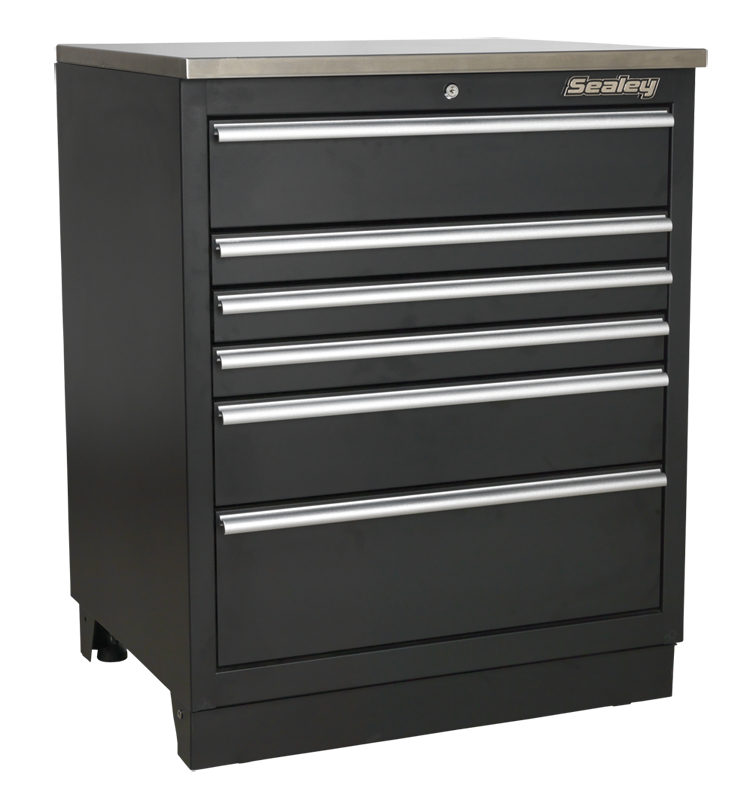 11 Heavy-duty drawers with precision ball bearing slides. 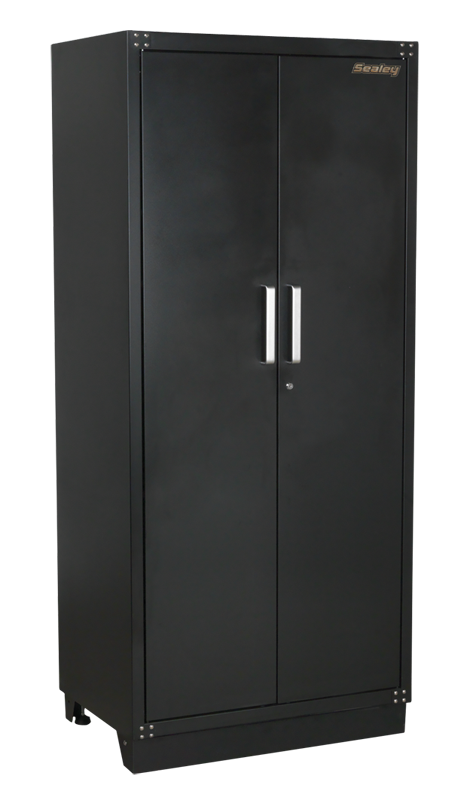 Heavy-duty full height 2 door cabinet. 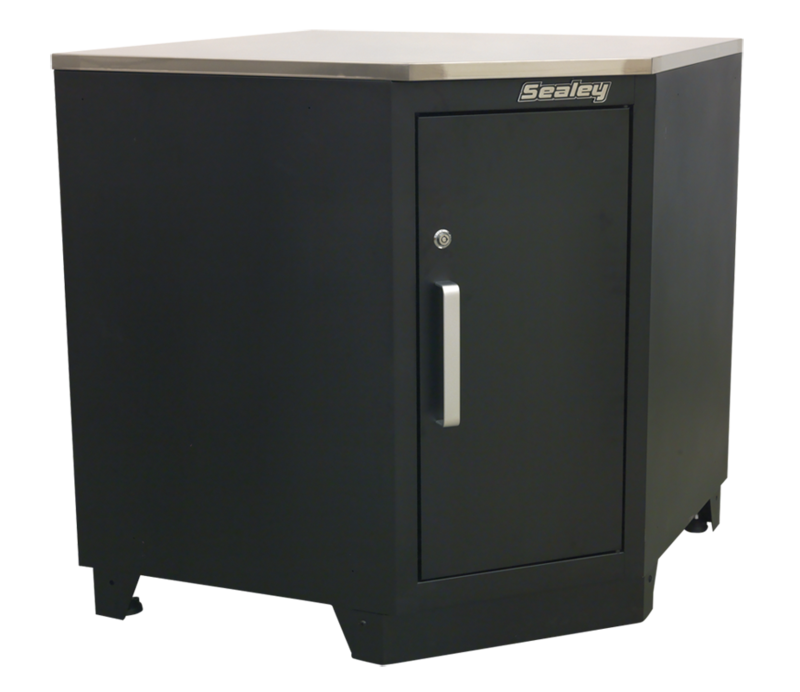 Added security provided by cylinder lock, supplied with two keys. Supplied flat-packed for ease of transportation. 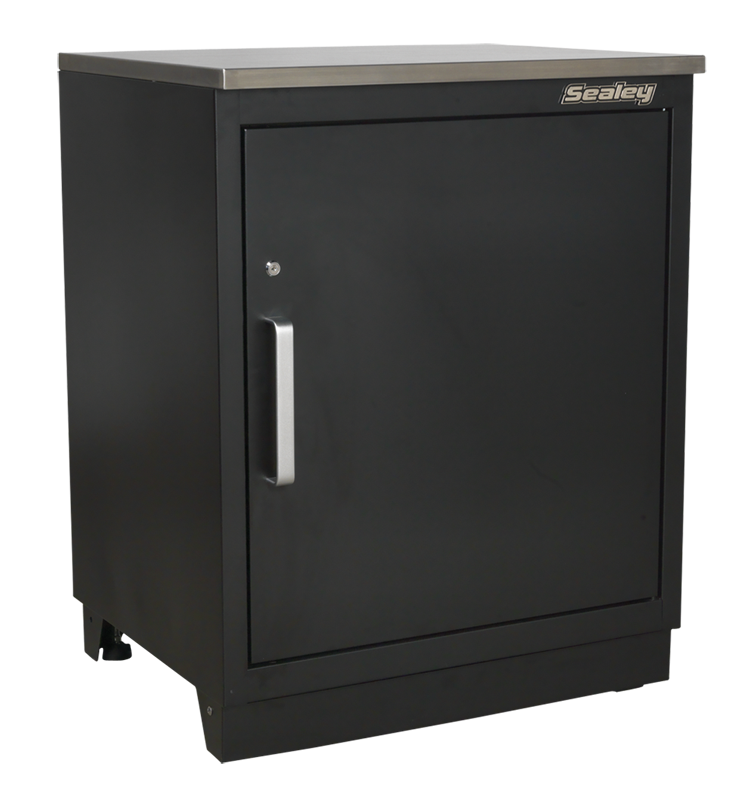 Features 1 adjustable shelf and five adjustable feet that allow the cabinet to sit true. 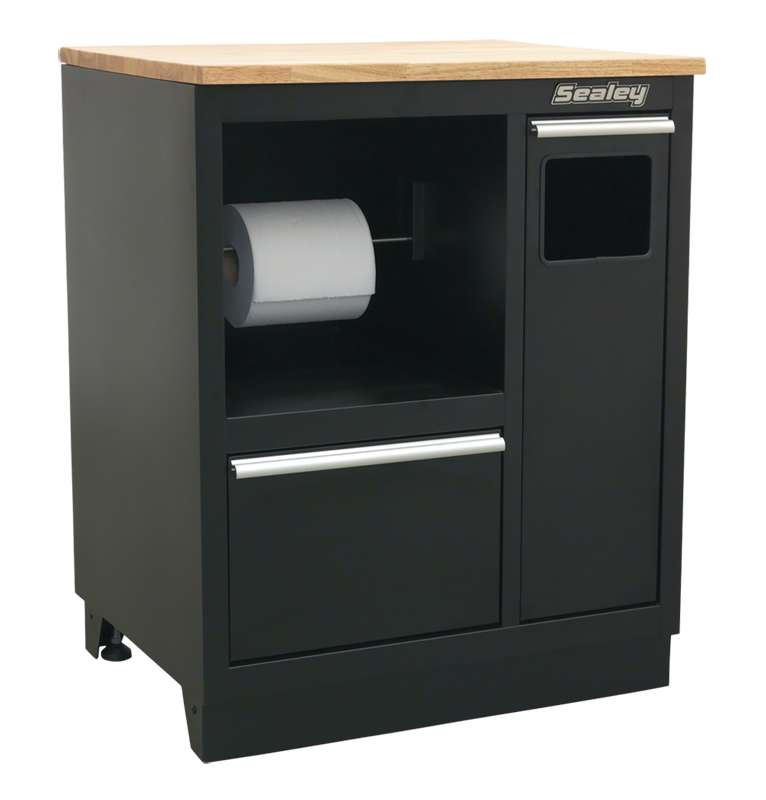 Heavy-duty multi-function modular cabinet includes rubbish bin, paper roll holder and a deep drawer. Four adjustable feet allow the cabinet to sit true. Paper roll holder has 3 locking positions to allow different sized rolls to be stored.